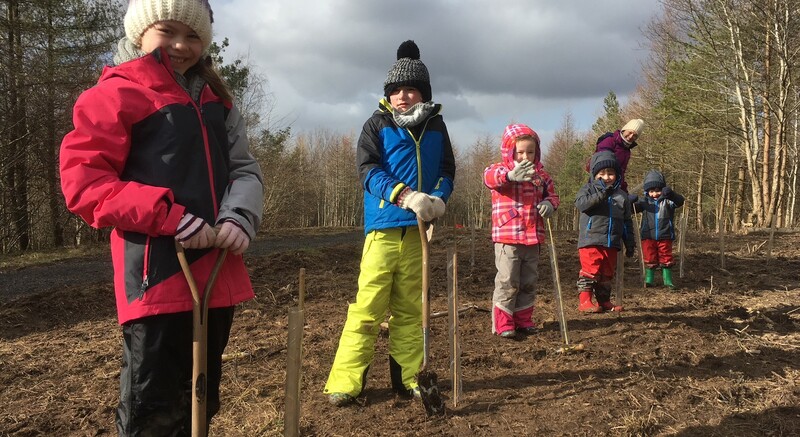 The East Kilbride Community Trust have planted hundreds of saplings at K-Woodlands as part of a mass countrywide tree planting initiative organised by the Woodland Trust, with support from Sainsbury’s, IKEA Family, Yorkshire Tea and players of People’s Postcode Lottery. 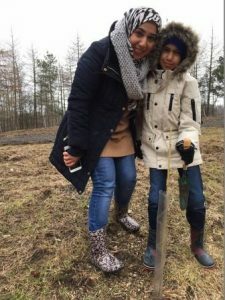 On Saturday the 17th of March local volunteers, disadvantaged groups, scouts and over 60 families came together to plant 420 trees throughout their local Community Woodland, to benefit the wildlife which thrives there. 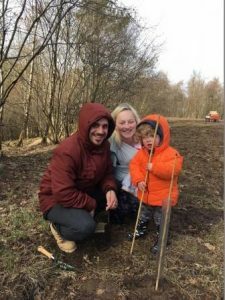 The planted species include Rowan, Hazel and Hawthorn, which were chosen because they provide a bounty of nuts and berries for the woodland animals. 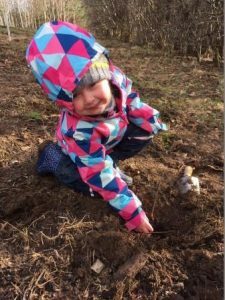 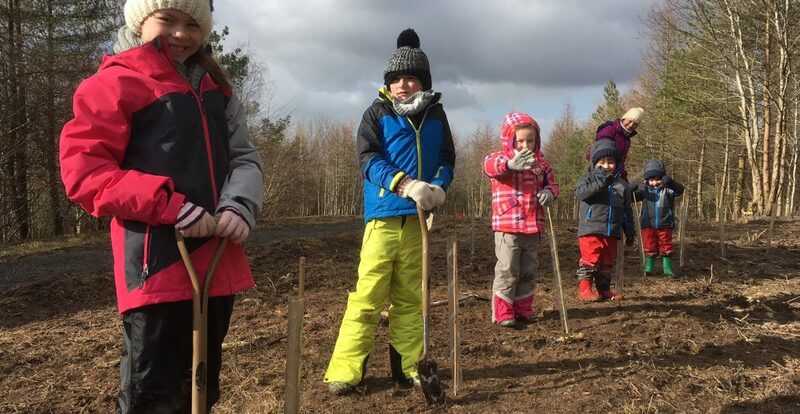 317,250 native trees from the Alba nursery outside Edinburgh have been distributed throughout the UK this spring – including 42,135 to Scottish schools and community groups.